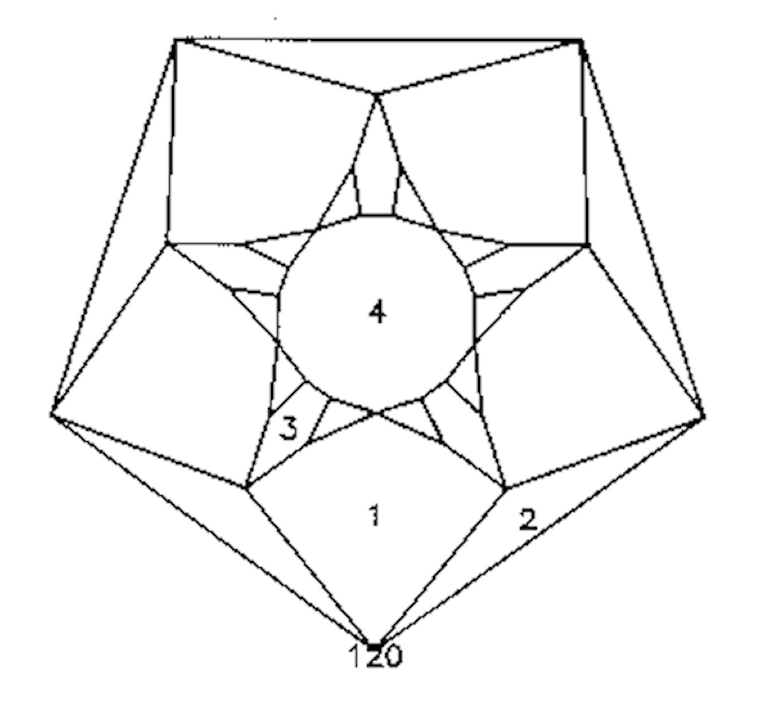 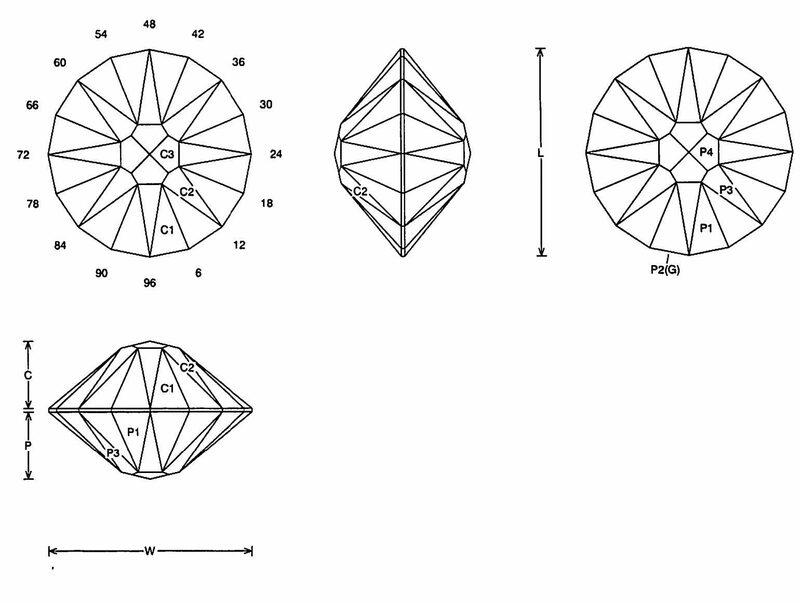 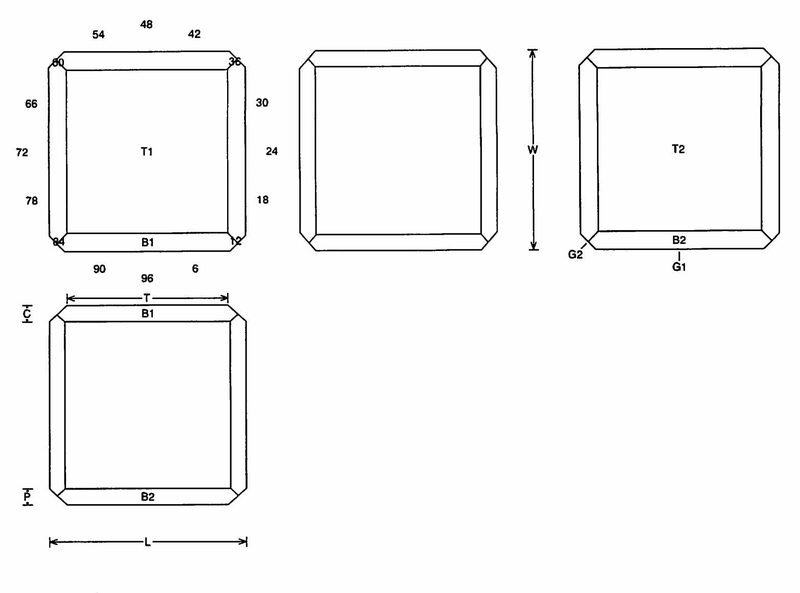 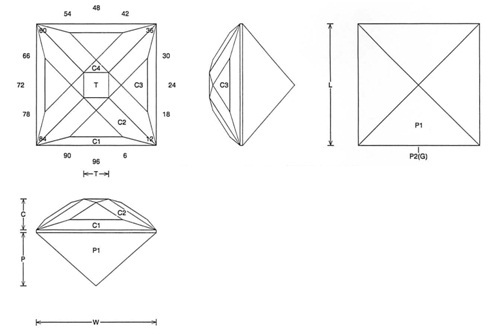 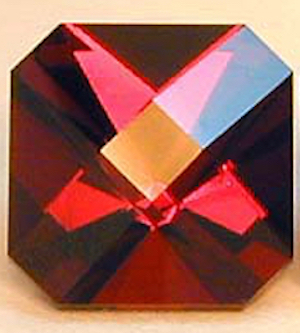 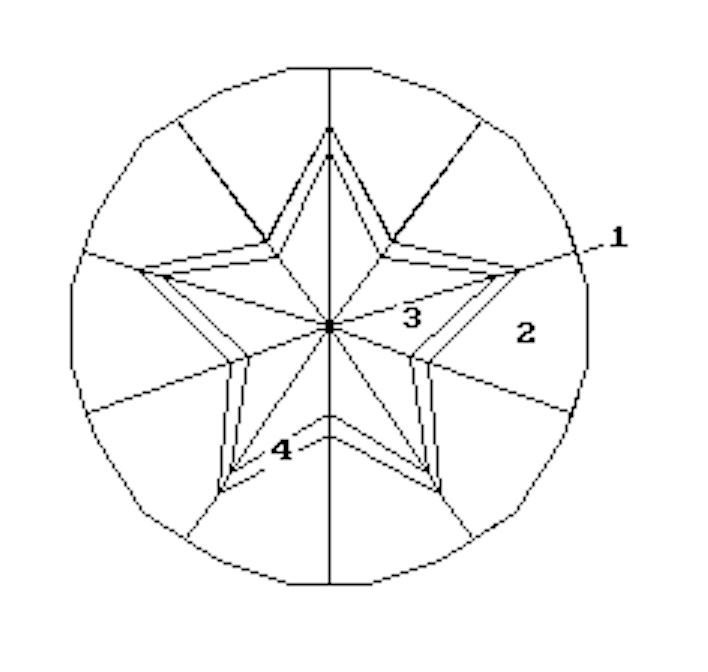 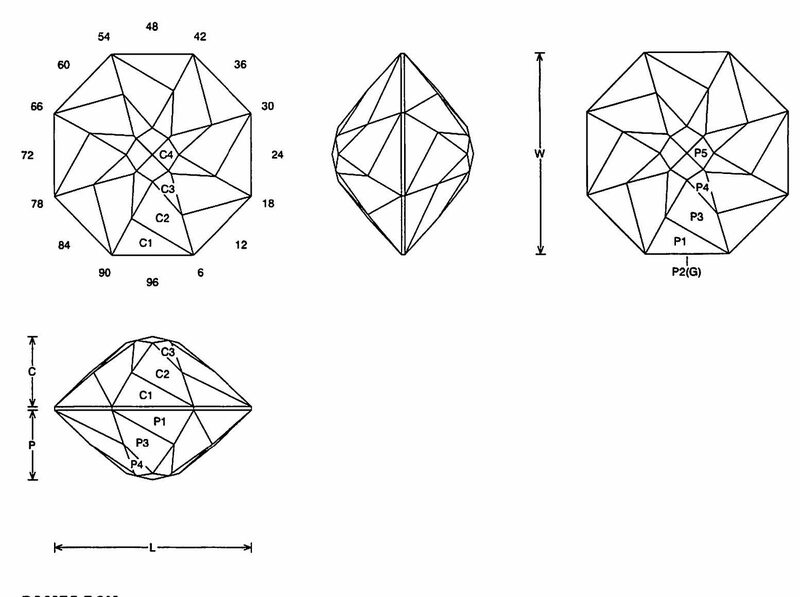 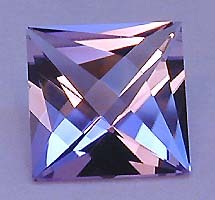 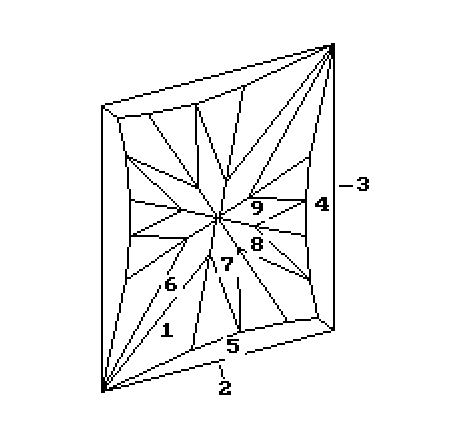 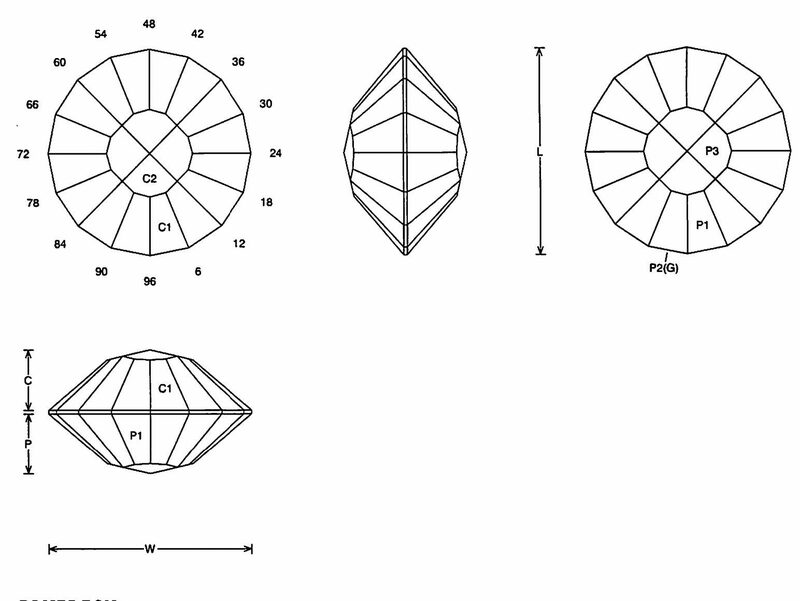 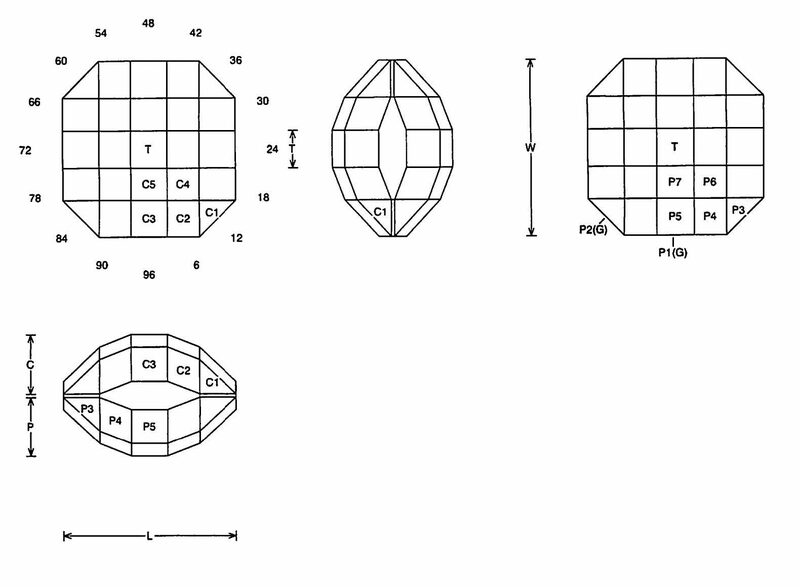 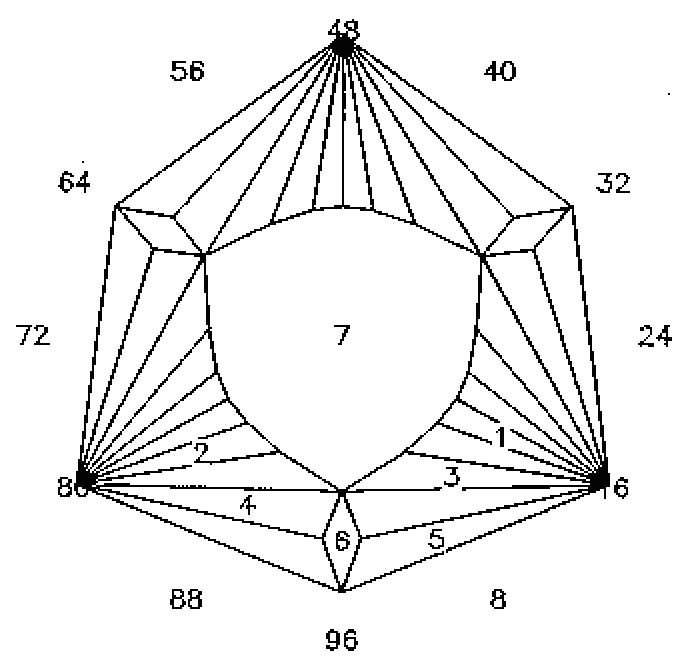 Diagrams for use in faceting a wide variety of gemstones. 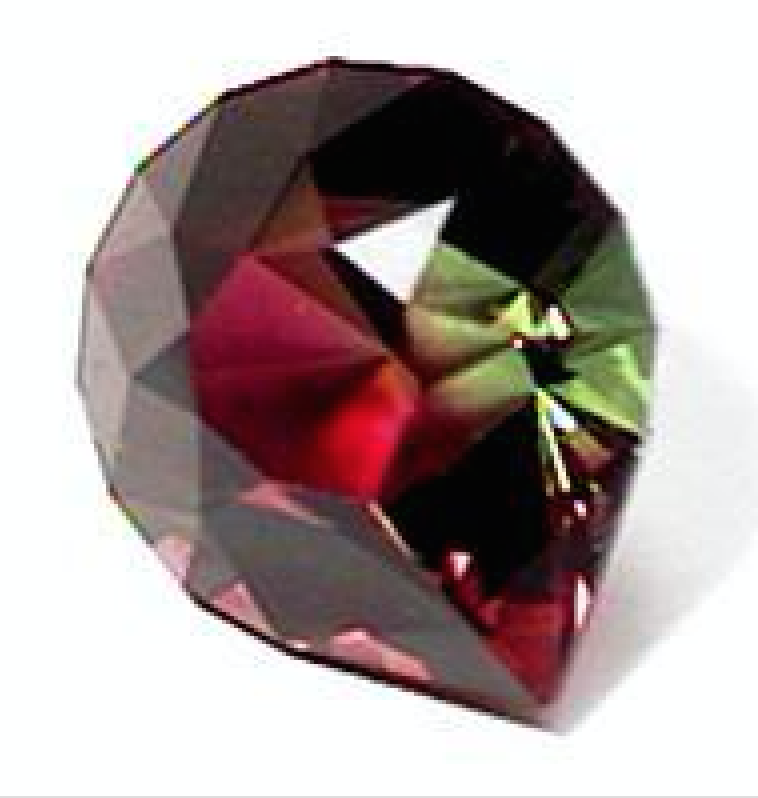 Jeff Graham’s Simple Heart gem design is ideal for small stones. 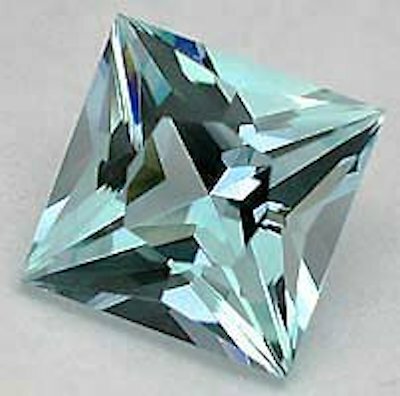 It only needs the bare minimum number of facets for a nice heart shape. 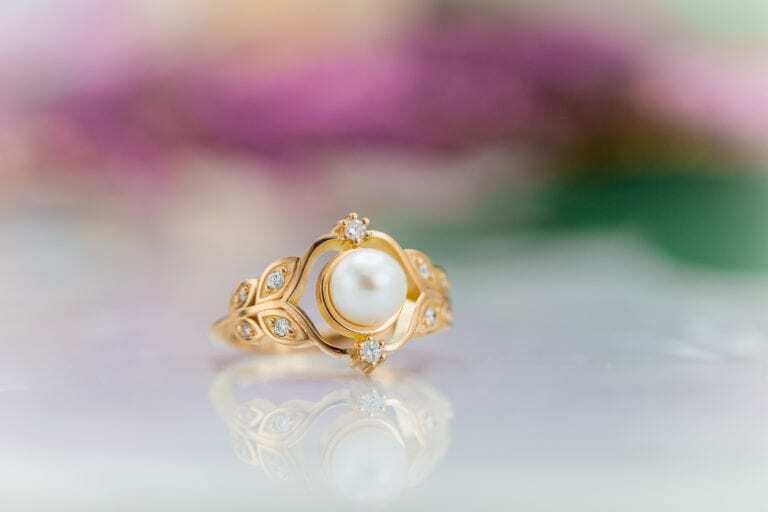 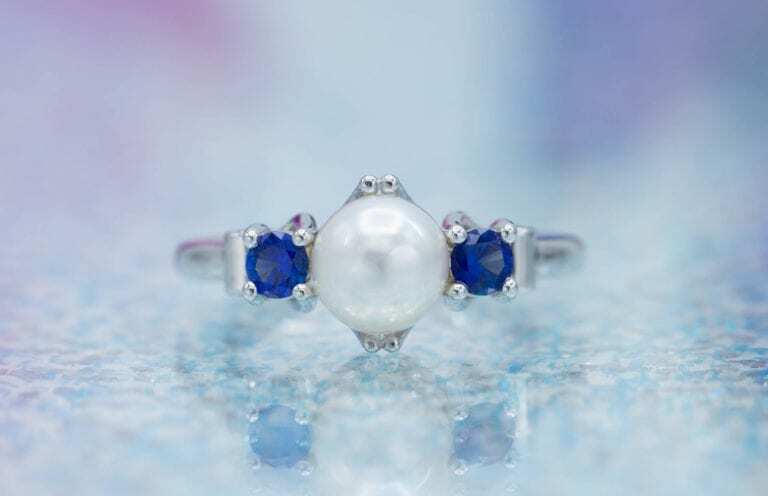 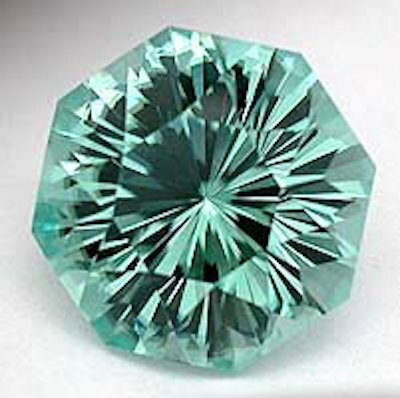 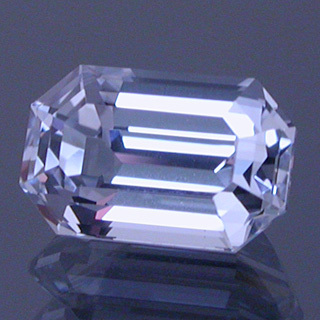 The Signature #4 is Jeff Graham’s favorite trillion cut for light-colored gemstones. 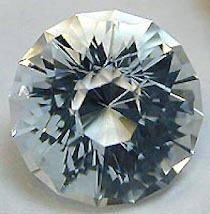 This popular design is also fast and easy to cut. Jeff Graham’s Rose Heart gem design has a lot of steps but not many facets. 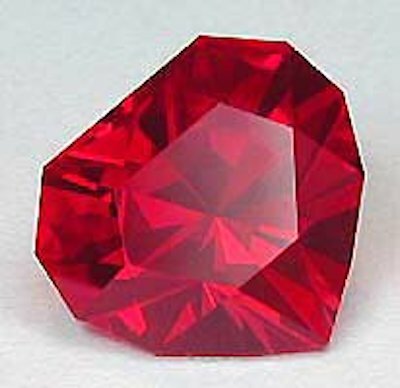 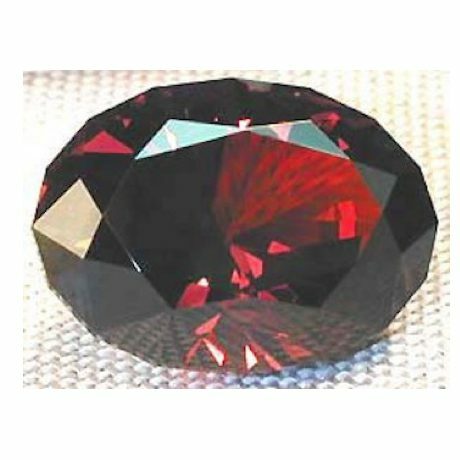 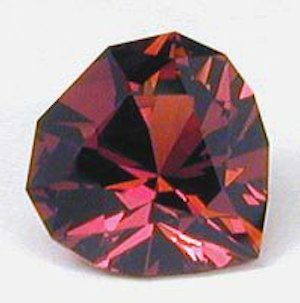 It’s fast and easy to cut and works especially well with garnets. 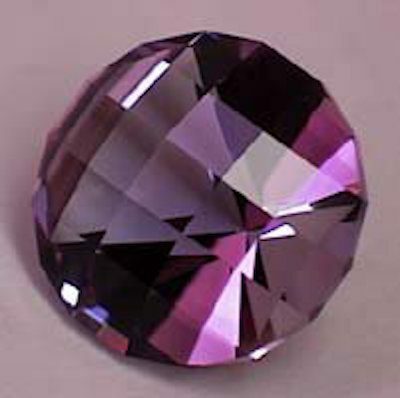 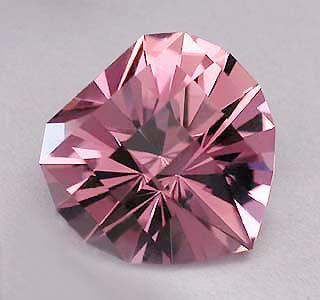 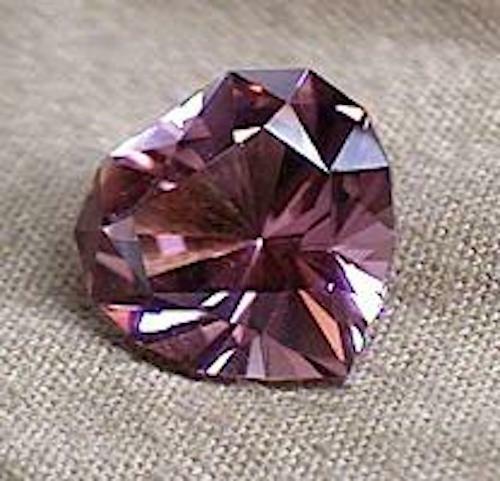 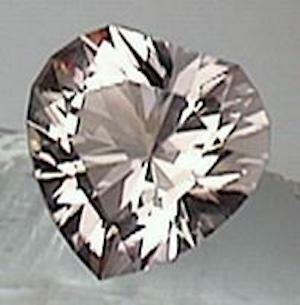 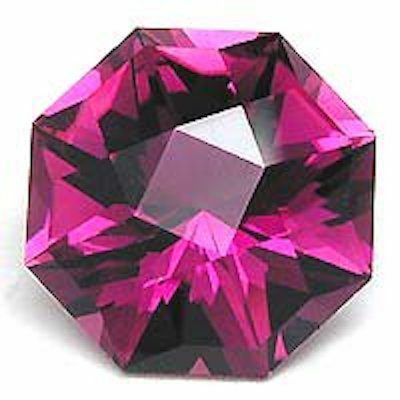 Checkered hearts make popular gem cuts. 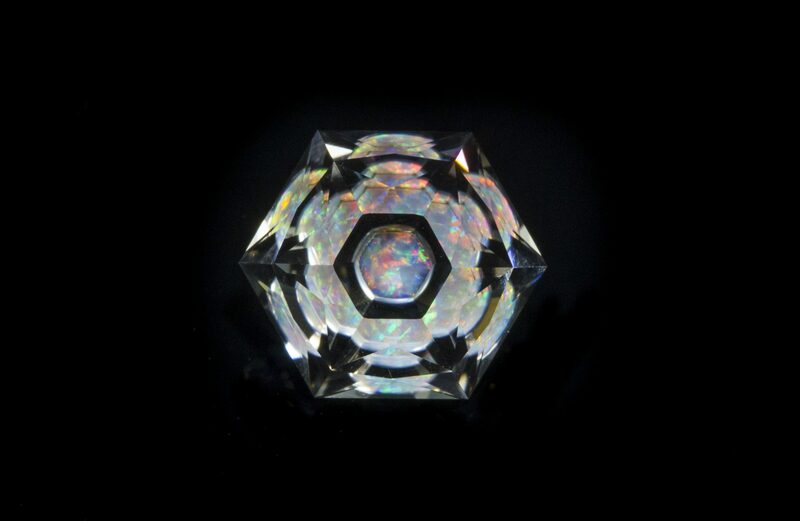 Jeff Graham’s Heart Squared design works well with any medium to light-colored material. 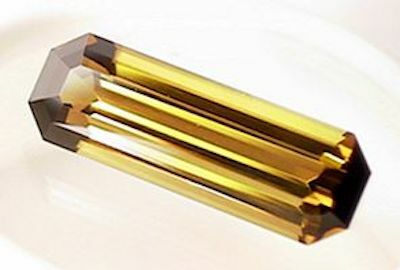 Jeff Graham’s CheckMate gem design is a great choice for quartz or beryl earrings, especially for large stones in medium to light colors. 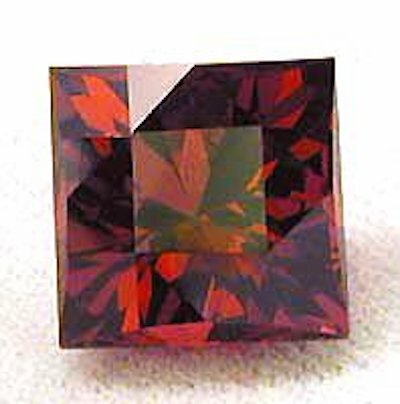 Jeff Graham’s Cornered is a checkerboard cut suitable for gem material that’s too dark or large for a standard design. 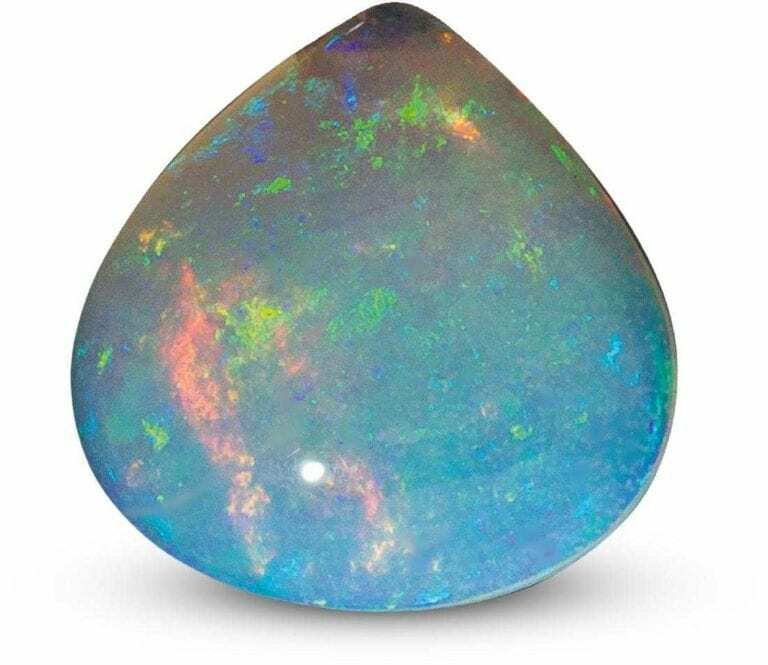 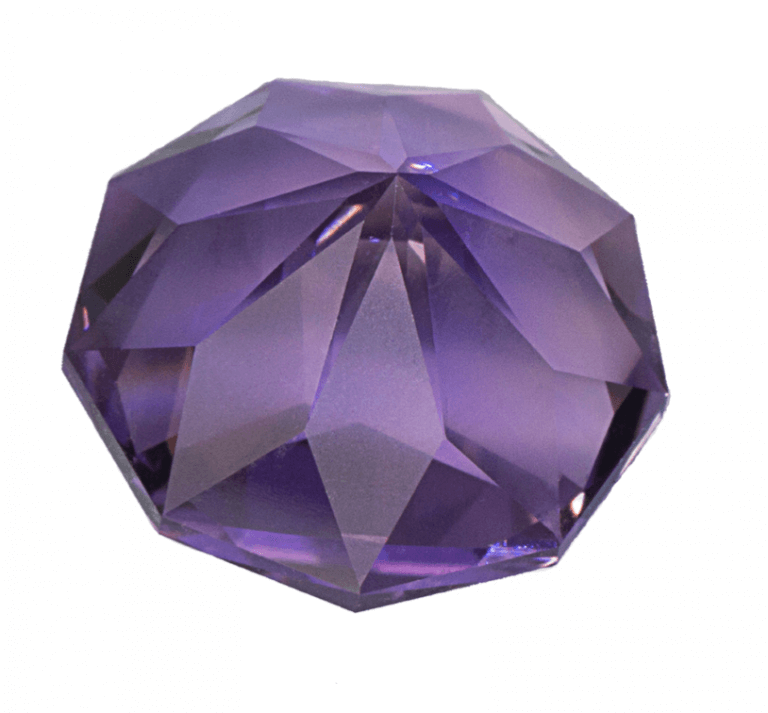 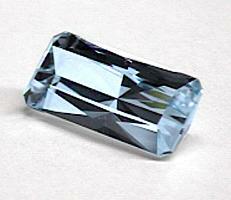 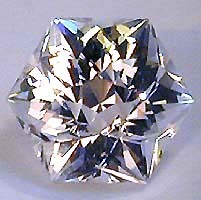 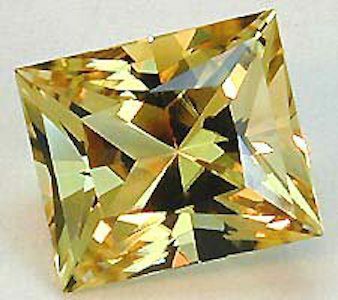 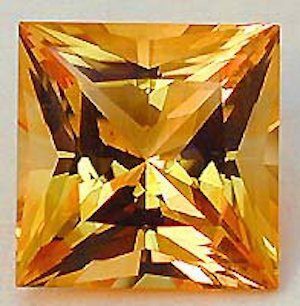 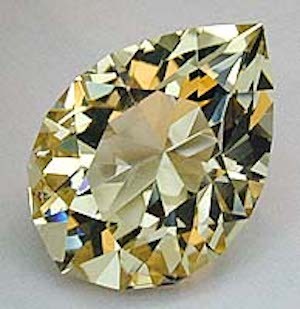 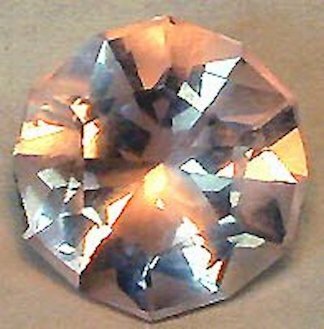 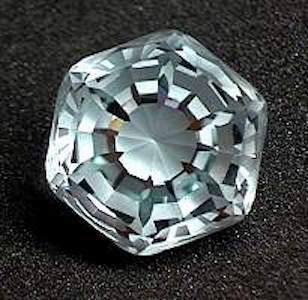 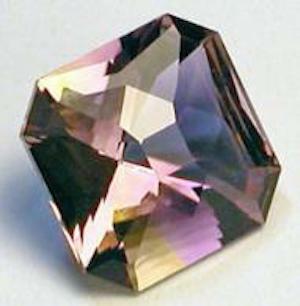 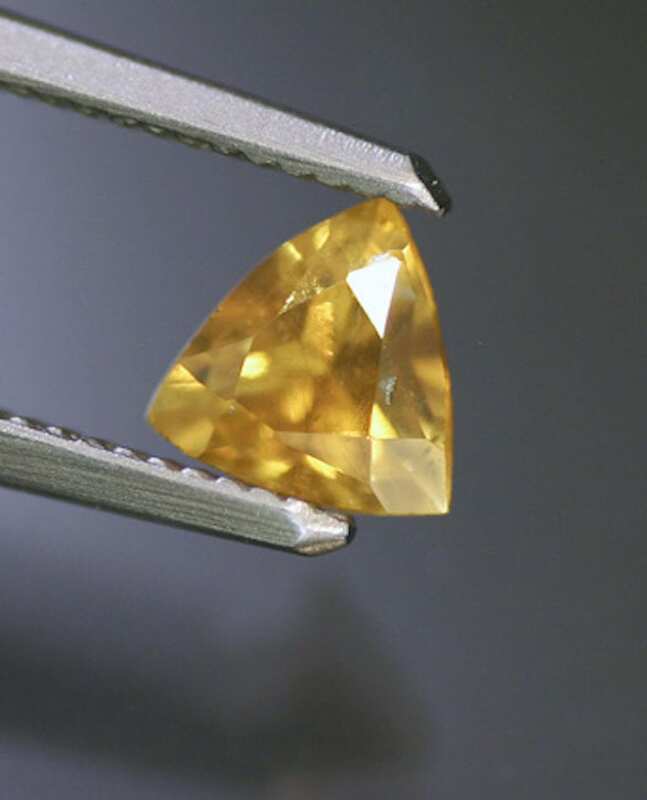 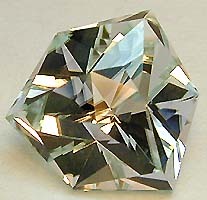 The Tzar gem design by Jeff Graham works best for large, light-colored stones. 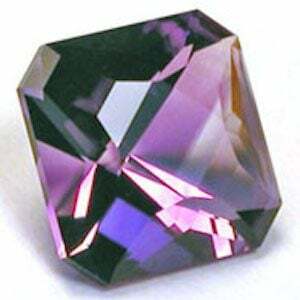 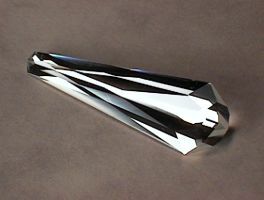 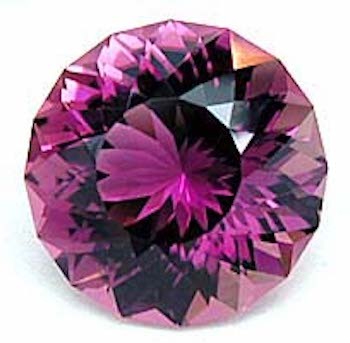 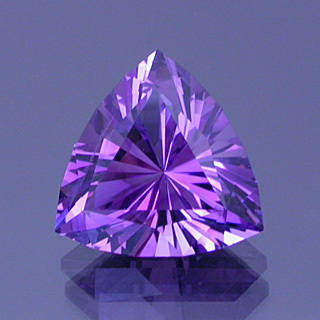 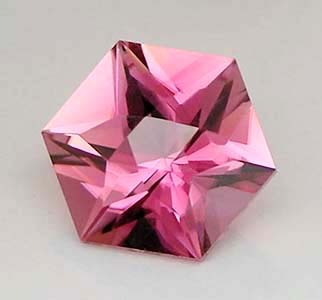 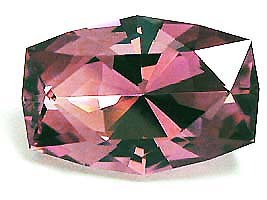 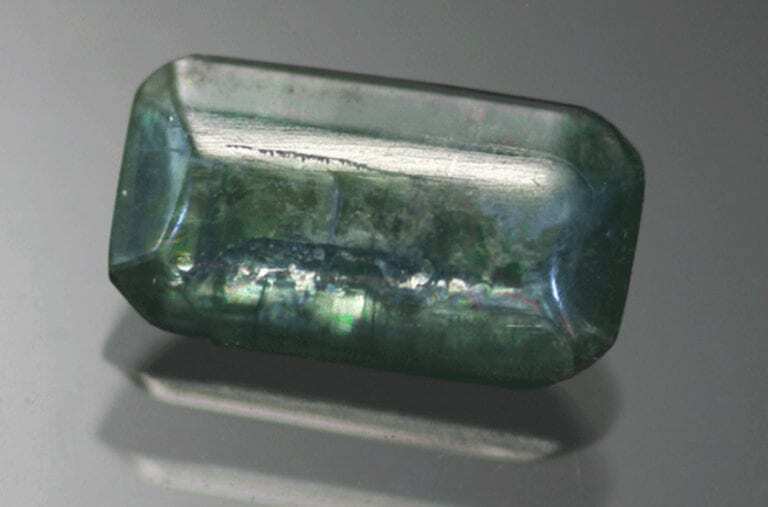 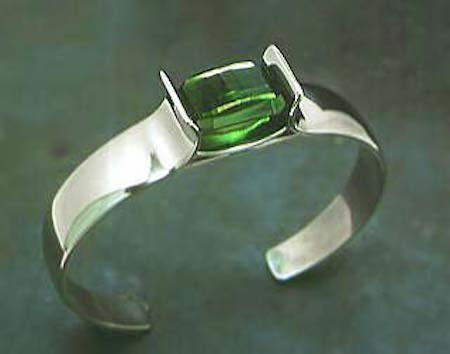 This cut will make a very interesting, different gemstone.